This post is brought to you by Volvo. Volvo designs luxury cars around its Swedish heritage. Volvo designs around safety. And most of all, Volvo designs around you. Visit Volvocars.com/us to learn more and check out @VolvoCarsUS on Twitter. For Web and print designers, packaging design is one of the most intriguing areas of design, because it involves creating something we can actually hold. From the impressive unboxing experience inherent to brands like Leica and Apple, to the refined works of major brands like Coca-Cola and Starbucks, great packaging design changes and defines products people use every day. In case you’re inspired by that notion, we created a list of 21 examples of gorgeous packaging design to showcase exceptional work in this field. Even if you plan to never set foot in this industry, it’s well worth it to know what it’s all about — you may even learn a thing or two. Christmas Tea features a truly playful and functional design, where the evergreen-like packaging tears apart and sits on the rim of your cup. This design wins in its simplicity. The command+open wax seal was too good to resist. Getting clean is like erasing the dirt and debris off your skin. Erasing. See what they did there? Back to simplicity, the bite mark makes a plain old white bakery bag irresistible. Conceptualized while tearing apart the common juice box, Birdy Juice turned its packaging into a caricature of the brand mascot. The Ci in Cider becomes a winky face. Brilliant. This is simply a fun jug of maple syrup, reminiscent of homemade moonshine and hooch. An excellent example of highly thorough branding. Every piece of the package feels interconnected. Completely vintage and entirely utilitarian. With its own custom typeface, Fruita Blanch is pure and clean — as the product hopes to be. Ikea’s packaging design shows off a fun integration between the can opener and the fish illustration. Another beauty, Divine Dairy feels both homemade and professional. Honey & Mackie’s captures the playfulness of its experience. These containers actually represent the fruit juice they contain. Why write it when you can show it and be understood immediately? Like a splash of fresh milk. Classic simplicity and rough edges for the hard-working beer drinker. This packaging says what it needs to say and then gets out-of-the-way. 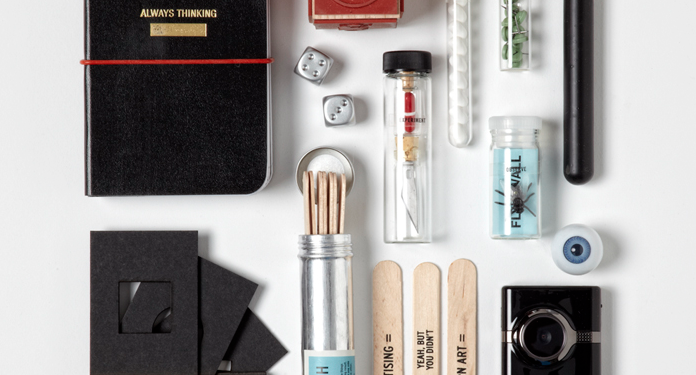 A lovely guidebook and kit meant to push a feeling or exploration and experimentation. Beehave features honey comb-like packaging. These containers feature lovely colors with an emphasis on nature, hence the giant apple. Once again, there’s hardly anything better than packaging that represents what’s inside. Whether playful, extremely functional or simply just good-looking, all of the above are excellent examples of packaging design. If we missed your favorite, definitely feel free to share it with us in the comments below. For more design inspiration, check out TNW’s Design & Dev channel.